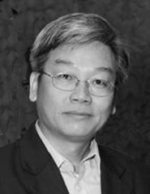 Wai K Leong is an Executive Coach with EDA Asia Pacific and based in Kuala Lumpur, Malaysia. He is accredited as a Professional Certified Coach from International Coach Federation, US. He brings with him over 30 years of leadership experiences with 15 years at senior management level of public-listed companies. He has trained and coached more than 10,000 leaders over his span of 20 years as a leader, coach and trainer. He has accumulated more than 2500 executive coaching hours working with large multinational clients within the Asian region. Wai K is also an ICF-accredited coaching skills assessor and runs a successful coach certification program. 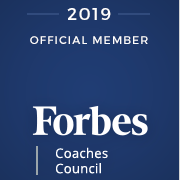 He is an author of 3 books on leadership and coaching and pioneered the development of coaching-based software to help leaders sharpen their leadership skills. His clients describe his positivity and patience as his core strength, providing ample space for them to explore, discover and gain insights about their strengths and resourcefulness. With his insights on leadership challenges, Wai K helps his clients expand perspective on core issues and develop creative solutions for themselves.